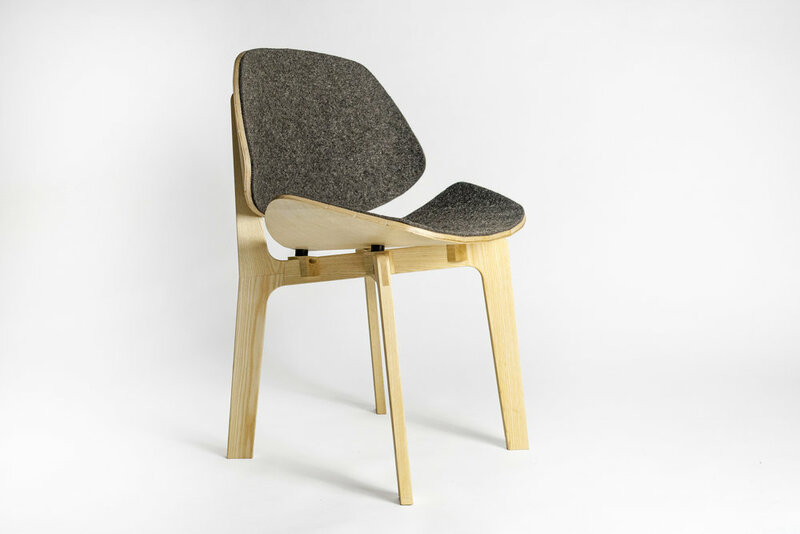 The Kerf Chair can be disassembled and flat-packed for transportation or storage. 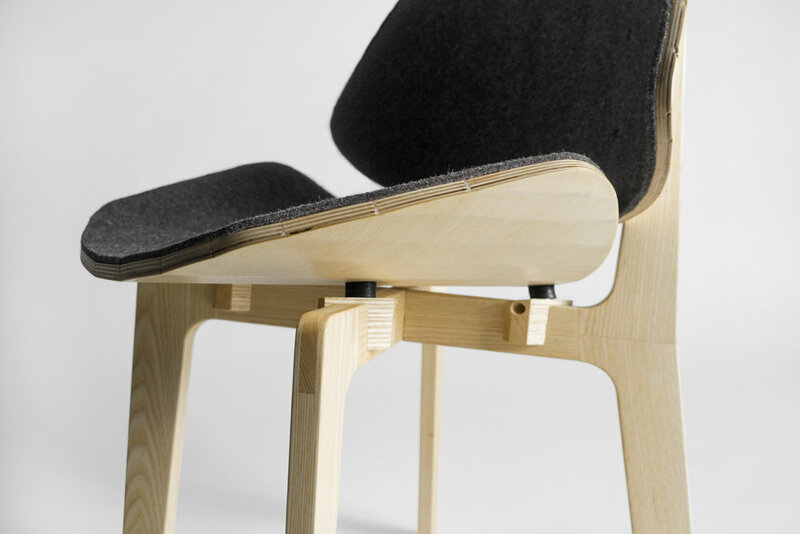 The leg sets, seat, and back are joined together with mechanical fasteners. One person can put the chair together or take it apart in about ten minutes. 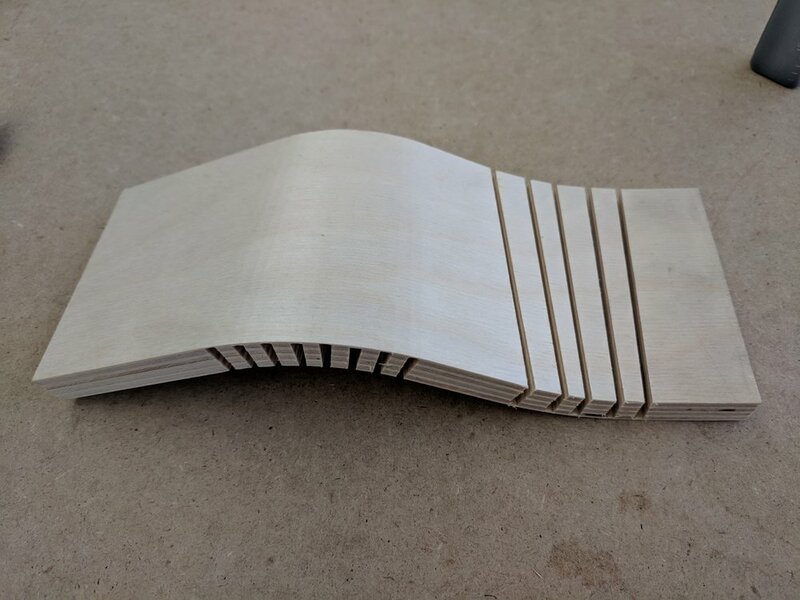 After experimenting with various methods, I chose kerf-bent plywood as the best material for fabricating large curved shells. Compared to other methods like bent lamination, kerf bending is relatively affordable, repeatable, and fast.